Excessive speed on a gravel road can also be responsible for a motorcycle accident, especially if the road is winding or steep. Edge breaks can occur during construction when the two traffic lanes are different heights—while this is barely noticeable in an automobile, an unsuspecting motorist can end up having a serious accident because of the edge break. Further Reading: Could Autonomous Vehicles Make Long-Haul Semi-Truck Crashes a Thing of the Past? Should the driver of a car hit a deer it will likely cause damage but probably not serious injuries, while a motorcycle rider hitting a deer stands a chance of incurring serious or fatal injuries. You may have a valid claim against the public agency responsible for maintaining the roadway if you suffered injuries resulting from an accident caused by a road hazard. Don’t try to go it alone, however—choose a highly experienced personal injury attorney who has an extensive background in motorcycle accident recovery. You will likely need help with medical bills, lost wages and other issues related to your accident and it’s important that you have an advocate in your corner during the process. 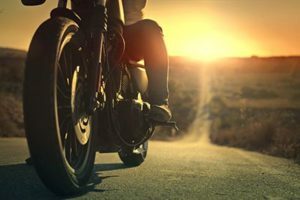 If you or someone you love has been injured in a motorcycle accident in Colorado Springs, it is always wise to discuss your case with an experienced motorcycle accident attorney. Contact the experienced Colorado Springs car accident attorneys at the Green Law Firm today to schedule a no-obligation consultation and discuss your case. Call us today at 1-719-694-8515.